Glad to see a new faction, the Wu Lin faction's move set and animations look very good. Castle Siege mode is also very interesting. Ubisoft is doing a stellar job at supporting their multiplayer games. 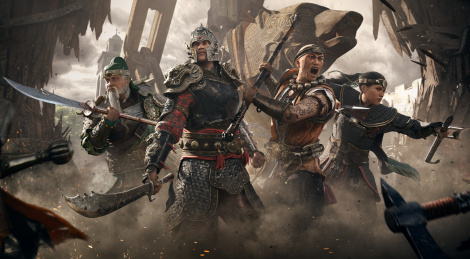 Marching Fire expansion will even include a single-player and co-op mode, and they are giving For Honor for free to attract new players to the community. 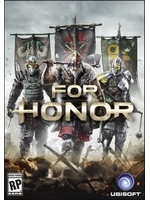 If the For Honor developers can achieve a more steady and frequent release of new factions and characters similar to what Tom Clancy's Rainbow Six: Siege has achieved - 40 Operators in 2 years and a half, For Honor will become far more successful. For Honor is perfect for a Battle Royale mode, even if it would require new and bigger maps, and a reduced amount of players. Ubisoft has yet to embrace the BR trend, but some of their games are perfect for it: For Honor, Tom Clancy's Ghost Recon: Wildlands, Tom Clancy's The Division and even Tom Clancy's Rainbow Six: Siege if they use 4 man teams instead of individuals, last surviving team wins.